BRYAN EATON/Staff photo. 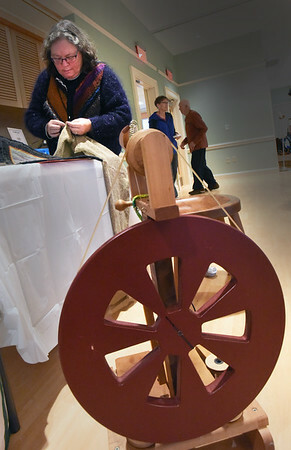 Lynn Cooke of Harvard works on a sweater as she repairs knitted and crocheted items at the Repair Cafe at the Newburyport Senior Center on Saturday. The Time Trade Network of Greater Newburyport and Toward Zero Waste Newburyport sponsored the event to help reduce waste by reparing items instead of tossing into the refuse stream.